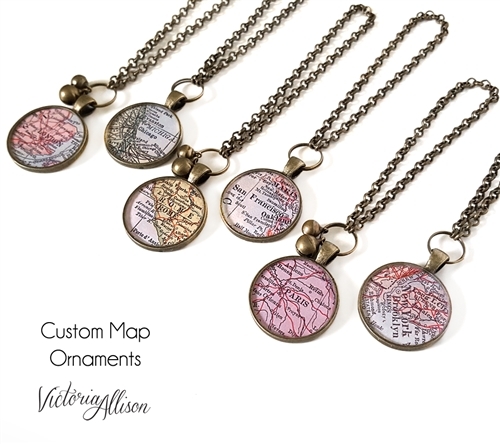 Once you've added your ornament to your shopping cart, please leave me a note in the "add an optional note to seller" with the city you'd like featured. 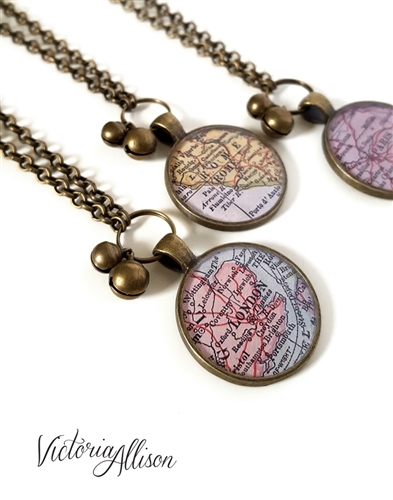 The map will be selected and printed from my antique atlas collection, and sealed with multiple layers of jeweler's resin for a hard glossy surface. 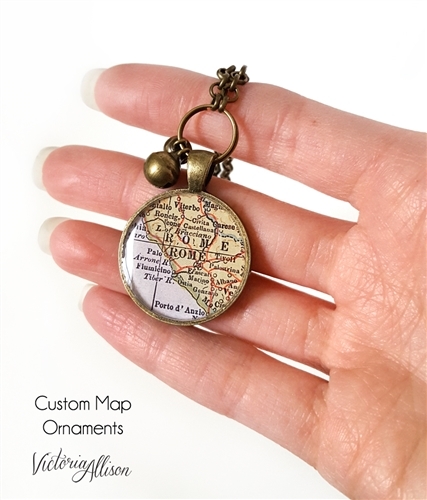 The map charm measures a little bit over 1-inch (2.54cm) wide, not including the hanging loop at the top. The total length of the ornament from top to bottom measures approximately 5-inches (12.7cm) long, when the hanging loop is laying straight. 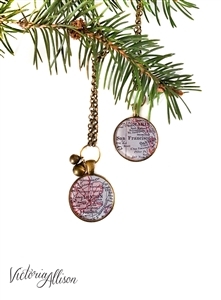 Two tiny jingle bells (in two different sizes) hang above the map. They have a light, pleasant sound! The bells are optional - please make your selection during checkout. All metal components are bronze. This item is sent in a gift box tied with a ribbon, ready for gift giving or receiving!